Taking a little time to manage your money better can really pay off huge. It can either help you to stay on top of your bills, or even to help you save $5,000 more each year, in which you can use these extra savings to pay off any debts you might have, or to even put them into an annuity plan for your retirement. You can even indulge yourself by spending them on your next car or holiday. 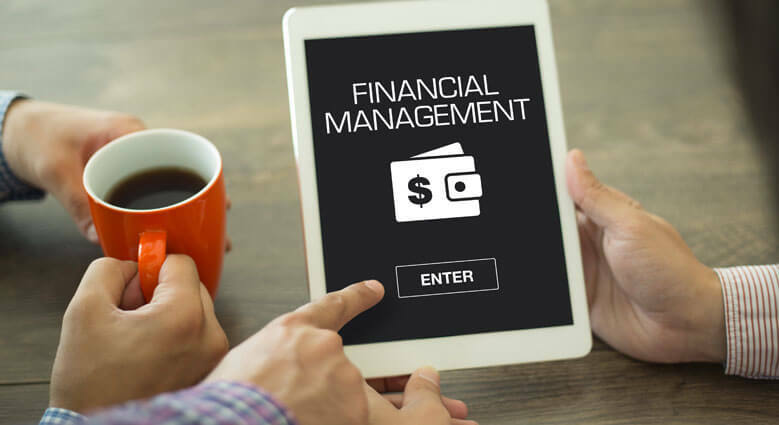 Read on for the 4 parts of your Financial Life and Money Management Tips. This includes how to set up a budget, sticking to it and how to maximise your savings. All of us have been a little guilty of losing control of our budget. But in fact, the first crucial step in taking control of your finances is budgeting and it’s not as hard as you think. Record down your income, categorise your monthly expenses (public transport, household bills etc.) and set a preferred budget to each of these categories. It is simple as it sounds and the effort you put in to this will give you more clarity and help step up your savings for that holiday you’ve been eyeing on for a while now. We all know how unpredictable life is, so it’s essential to always review your budget and expenses every few months to ensure you are always on the race track. It’s the hardest thing to face up to, isn’t it? It’s easy for people to feel overwhelmed and sink straight into a debt denial phase by ignoring the mailers demanding for payment but it doesn’t magically make the debts go away. For many, debts have serious implications on one’s emotional health and the people around them. We have heard the many heart wrenching unfortunate tales of people getting tempted by easy offers when looking for debt solutions. One rule of thumb to always follow by is “high risk, high returns”. Easy money comes with higher risk so always take calculated low risk decisions when it comes to clearing debts. The worst thing to happen to someone is to be thrown off guard financially. When unforeseen circumstances result in extreme financial loss. There are four main ways to manage risk: risk avoidance, risk transfer, risk reduction and risk retention. We have to know the existing risks and to understand each way in managing them so as to negate huge financial losses. Managing your risks is an important step in creating a solid financial plan. And with the right insurance policies you can achieve a peace of mind that you and your loved ones are protected from such unfortunate events. Know what the government and your company has in place. Most importantly, understand what you already have in place for yourself and your family. In a brand new year, what we always hear are great wishes. Wishing you great health and may you live till age 100! However, is having a long life really true happiness if we do not manage it well? In a survey of 1,000 Singaporeans and permanent residents by DBS Bank, it has shown that many respondents hope to retire comfortably but only a minority are taking tangible steps to reach that goal. 76% mentioned that their key long-term financial goal is to have enough for retirement. A quarter mentioned that they are actually following a financial plan for retirement needs. A quarter mentioned that they are trying to work out a plan. The rest mentioned that they do not have any concrete plan. Retirement may seem like a long way to go for some but it is important to start early to allow compounding interest to work in your favour. Furthermore, it gives us a longer investment horizon to ride out market fluctuation and obtain a standard of living we are satisfied with when we are no longer working. 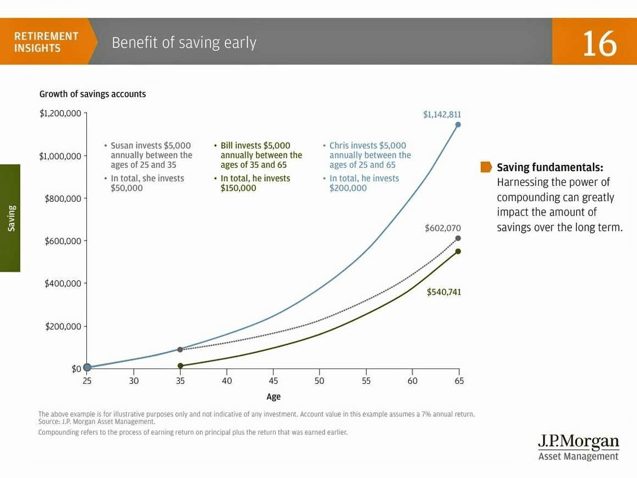 Image as shown below from J.P.Morgan Asset Management has illustrated 3 different scenarios to show the benefits of saving early in managing your retirement. There is a quote from Johann Wolfgang von Goethe: “Whatever you can do or dream you can, begin it. Boldness has genius, power, and magic in it.” We all have dreams but to achieve it, it comes with great determination, dedication, self-discipline and effort to work towards it. 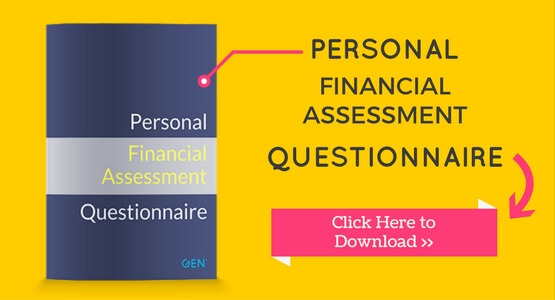 Let’s kick-start your planning today by using this Questionnaire! Happy Planning and Happy Year of the Rooster! If you want to know more about Financial Management or any other enquiries, you may schedule an appointment with me or fill up the form below and I will get back to you as soon as possible. Insurance for People with Diabetes - What are Your Options? CPF Insurance Schemes – What are the differences between MediShield Life and ElderShield?